SOCO International has now requested an external agency to conduct an independent report into intimidation and / or human rights abuses in the Virunga National Park (‘VNP’), in the Democratic Republic of Congo. 9 Bedford Row had provided pro bono legal services in support of the film, ‘Virunga: The Movie’, which worked to highlight the bribery and corruption in the VNP. Law firm Clifford Chance will now undertake an independent investigation into the alleged human rights abuses. In case you missed it, Soco International released their quarterly results yesterday. We still have work to do but it’s safe to say that your support and efforts are really helping to make a difference. Here’s our analysis of what they had to say…. We welcome Soco International’s long awaited acknowledgement that there have been serious errors of judgement on their part. Similarly, with the introduction of a law firm in Clifford Chance, we expect that their investigation into the allegations against Soco will be conducted to the highest standards possible. We would like to reiterate that we remain committed and available to assist with any inquiries Clifford Chance should wish to make in relation to the allegations put forward to the company. We note that Soco’s statement on the independent review does not reference the allegations regarding bribery and corruption found in Virunga: The Movie and via other stakeholders, specifically focusing instead on ‘intimidation and/or human rights abuses’. It also states that ‘Upon the conclusion of the independent review, the Company will take any necessary steps and advise its stakeholders.’ This suggests potential for a lack of transparency. Will the Clifford Chance review also address the allegations relating to bribery and corruption? Will the terms of reference as ‘defined and focused by Clifford Chance’ be made available to enable the stakeholders to understand and assess the scope of the independent review prior to completion? Will the findings of the independent review be made public? Furthermore, we note the company’s statement on its intentions for Block V is far from a clear and definitive protection for Virunga and its communities and contains some concerning sentences which deserve further scrutiny. If boundary changes occurred in Virunga, would Soco International seek to re-enter the territory around Lake Edward within the park’s current legal boundaries? Will Soco International allow its existing licence for Block V to lapse or does it have the right to assign it to a third party? If so, does it have plans to do so? 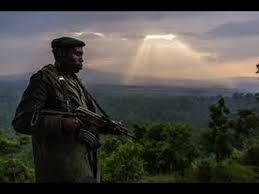 Soco International’s statements on Virunga National Park are available to read in full, here. We’ll check in soon with more news! Copyright © 2015 Virunga Movie, All rights reserved.